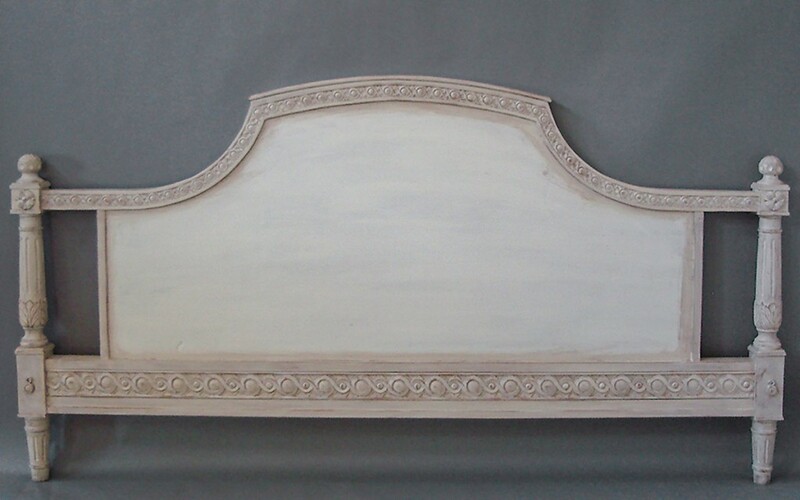 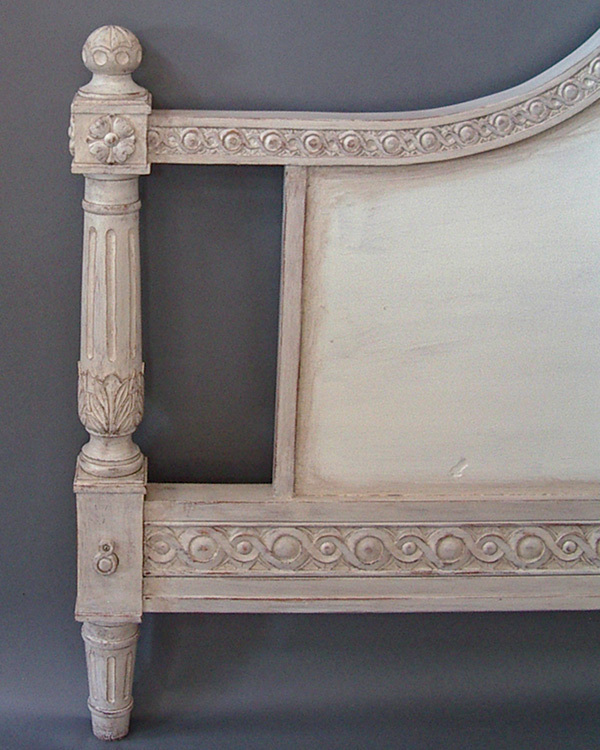 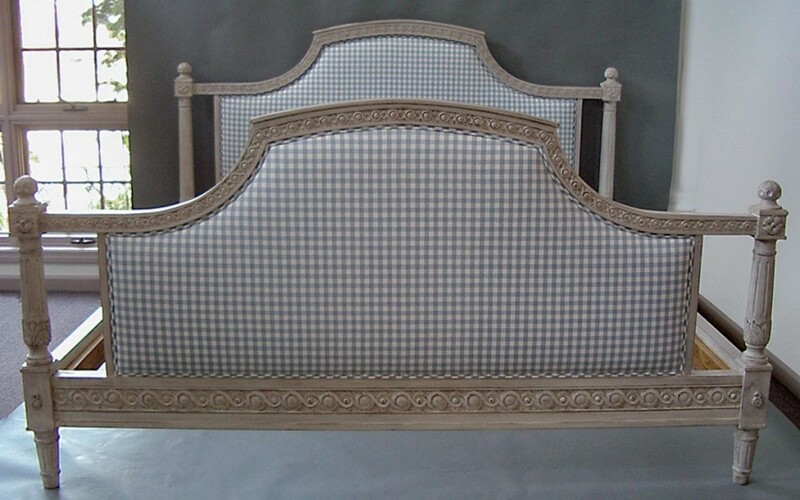 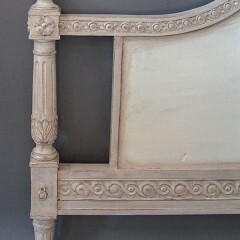 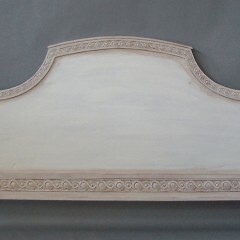 Custom made bed frame in the Gustavian style, with acanthus leaf carving on head and foot board posts. 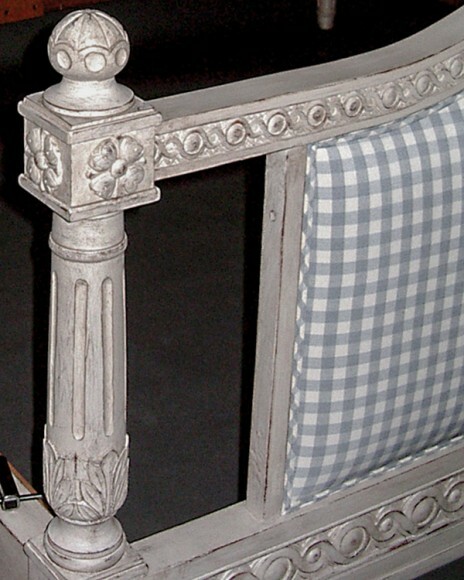 Solid surfaces provide a sturdy base for padding and upholstering in your fabric. 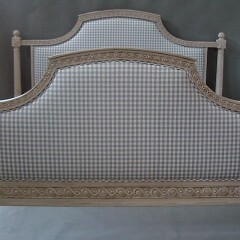 Measurements and color are determined by our client’s needs. 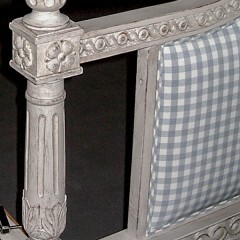 Upholstery will require 6 – 9 yards of your fabric and will add approximately $2,500 to the cost of the bed.